The Disney Dining Plan is a great option to add to your Walt Disney World Vacation that provides you with a pre-paid meal plan that is fun to use and reduces the stress level during your vacation. 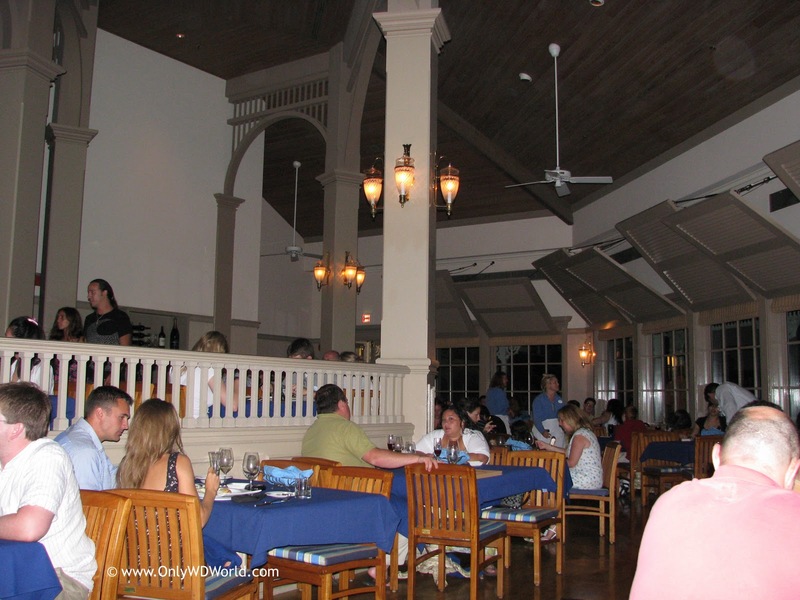 There are several pre-paid dining options that Disney World offers. The basic Disney Dining Plan is the most popular. It entitles you to one Table Service Meal, one Quick Service Meal, and one Snack item for each night that you stay at your Walt Disney World Resort hotel. If you are not familiar with the Disney Dining Plans then please visit the Only WDWorld Dining Plan Fact Page which will explain all of the terms and language used in the Disney Dining Plans, as well as, all of the current prices. The Disney Dining Plan not only helps you budget for your vacation by knowing your dining expenses ahead of time, it takes the stress out of dining since you can choose anything on the menus with very few exceptions. Make a plan prior to your trip to determine which Disney World theme park you are going to visit on each day. Determine which Table Service Restaurants you would like to eat at during your vacation. With the Disney Dining Plan you should plan for one for each night of your stay. Pick Restaurants that make sense based upon what you have to pay for the Disney Dining Plan. This may sound silly, but you pay a fair amount for each Table Service Credit when you purchase the Disney Dining Plan. If you eat at restaurants where they normally charge less for their entrees than the Table Service credit portion of the DDP costs you, you are in essence paying more than the listed price on the menu to eat there. You don't want to do that. The Disney Dining Plan should save you money if you choose wisely. Check out this article for some good Table Service Restaurant choices: Top 10 Disney Dining Plan Restaurants. Make Reservations using the easy to use on-line reservation system at: Disney World Dining Reservations. You can make reservation up to 180 days prior to the start of your Disney World Vacation. Note: During busy times of the year Disney World Restaurants fill up and there are NO walk up openings. Don't risk it, please make reservations as early as possible to get to eat at the restaurants of your choice. Check out the Quick Service Restaurant Menus at AllEars.net in order to get a rough idea of where you may want to eat your Quick Service Meals. You can find some of the best Quick Service Restaurants for using your Disney Dining Plan Credits at: Top 7 Disney Quick Service Restaurants. Do NOT use your Table Service or your Quick Service Credits for Breakfast. This cost of breakfast is always less than lunch or dinner. The only caveat is if you shared one of the larger portion Quick Service Meals at a Lunch (Tangierine Cafe, Flame Tree BBQ) and had surplus Quick Service Credits, then by all means use it during breakfast versus letting it go to waste. Do NOT let your snack credits go to waste. They can be used for so many great options. If you find you are not hungry for an extra dessert or snack then use the snack options for breakfast items like: muffins, danishes, yogurt parfaits, etc. This is a great way to avoid additional food expenditures. Have fun with your snack options! Even go so far as to have a family contest to see who can find the Best snack that was redeemed with the Snack option. That person would have bragging rights until the next Disney World Vacation. Some helpful snack ideas include: More Great Disney Dining Plan Snacks. Snack items that are redeemable with the DDP change more frequently than any other category so there are always new ones appearing and old favorites going away. Plan enough ahead of time to take the stress away, but not limit the ability to be spontaneous and have fun. Stick to your Table Service Reservations, but be flexible with your other plans if the mood strikes you. Remember you are on vacation, so it is ok to deviate from the plans. Also remember that planning the trip helps build excitement for the whole family so include them in the process. Lastly, review the Disney Dining Plan.pdf in order to familiarize yourself with the DDP. Remember The Disney Dining Plan Should Remove Stress! Don't let the planning stress you out. The Disney Dining Plan is intended to remove stress from your vacation and make things easier. Don't let it stress you out. For most people the planning process for their Disney World Vacation is one of the best parts. It allows them to think about Disney World for a longer period of time then just during their actual onsite vacation. Use these tips to help you get the most out of the Disney Dining Plan and by all means enjoy your Walt Disney World Resort Vacation! 3 comments to "Tips For The 2011 Disney Dining Plan"
Love your ideas, but I have to say, the breakfast at Wolfgang Puck's Express is well worth a quick serve credit and was the best meal of our last trip! I agree that the Disney Dining Plan is a great option to add to your Walt Disney World Vacation! Great post, that has helped me in finding a good affiliate.